“OK Jaanu”…. Nothing is okay in this stagey, monotonous remake! Tusshar Sasi	 January 14, 2017	 Leave a Comment on “OK Jaanu”…. Nothing is okay in this stagey, monotonous remake! Shaad Ali’s directorial debut Saathiya is one remake that achieved a rare feat. Not only did it match the original in all departments, but it also abridged its tonality to suit the new target audience while staying true to its realistic backdrop. Saathiya boasted of a solid music score, a superlative leading lady who nullified the original’s sole deficiency and had dialogues that were youthful, quirky and punny to boot. Eventually it went on become one of Hindi cinema’s most remembered love stories. Therefore, when Ali returns with yet another (frame-by-frame) remake of a Mani Ratnam film, we do keep expectations from Ok Jaanu. 2015’s OK Kanmani, for starters, didn’t break any new ground in the romantic film genre. Taking off from the quintessential Mani Ratnam route of love at first sight, the film was abundant with moments. The balmy mood and sunshine-like chemistry kept us smiling throughout. Clearly, a charming lead pair and an inherent lack of relatable atmosphere form Ok Jaanu‘s prime disability. A co-production, the root cause of the film’s failure is from the fact that it s style of making originates from the stagey Karan Johar mould than Ratnam’s familiar templates. Here’s one film where shady hotel rooms resemble art galleries. We also see hostel space done up like a museum, because (guess what!) the leading lady is an architect. As opposed to girl in the Tamil original, Bollywood’s Tara (Shraddha Kapoor) says a big no to boho chic clothing! Her work attire is straight out of an A-list designer’s runway. Even as we skim beyond surface, scenes that could have been effective are mercilessly cut. Case in point being the Hindustani musical concert. Of course, there’s a lot to blame on average acting skills of the male lead (Aditya Roy Kapoor) but all of it could have been packaged way better. Shaad Ali, unlike in his debut venture, makes Ok Jaanu a checkbox ticking exercise. He makes sure that almost every scene is replicated from the original and in this tedious process, misses out why they existed in first place. Sample this scene from the second half: Adi and Tara have their first tiff. She zooms off through Bombay’s crowded streets, he follows. The couple finally kiss and makes up near a temple. There is rain, there is decent chemistry and a shimmering background piece for support (a brief Hindi version of Aye Sinamika, people). However, the scene fails to exude magic of any kinds – thanks to supremely lazy (and hurried) storyboarding and even shoddier editing. There’s zilch romance, zero texture in what could have been the most beautiful moment in the film. We get Gulzar’s dialogues that are good. Just good, which is telling in itself. AR Rahman’s music is just about okay – with a couple songs working well (the title track and Saajan Aayo Re) but the ones instrumental in establishing romantic chemistry are damp squibs (Enna Sona and Humma Humma). Ravi K. Chandran’s camerawork is stunning as always, though the Dharma Productions’ style of overt colouring does no good to Chandran’s frames. Remaining aesthetic departments are blatantly overdone. Becoming the film’s prime liability, Aditya Roy Kapur is a staggering disappointment. His easy city boy demeanour is appreciable, not his lazy approach in internalizing Adi’s emotions. A strained performance that is devoid of any feeling or expression, Roy Kapur’s Adi is not worthy of any emotional investment from the audience’s end. Shraddha Kapoor shows marked improvement over her previous outings. Though not a brilliant turn, she does have her moments here and there. Naseeruddin Shah is dependable, as always. Nevertheless, we would rather prefer Prakash Raj’s approachable and awkward Ganapathy instead of Shah’s know-all, retired judge. Leela Samson, who reprises her original part, seemed more at home in Tamil language. Supporting characters (Tara’s businesswoman mother, Adi’s family etc) are lustreless to say the least. One of the most awfully cast films in recent past, I assert. As stated earlier, what Ok Jaanu severely lacks in are moments. Proceedings are so unrealistic that we tend to disown the film right at the couple’s first meet cute in a church. Insufficient acting chops notwithstanding, somewhere in Dharma Productions’ trademark glitz and glamour, the love birds and their pining for each other get massively compromised. Heck, remember the original where Nithya Menen walked in humming ‘Malargal Kaetten’, shook hands and hugged a reluctant Prakash Raj? Moments, mood, feelings… trust our filmmakers to nip them in their buds. Previous Post“Haraamkhor”… Windmills, barren heartland and an illicit affair! Next Post“Munthirivallikal Thalirkkumbol (മുന്തിരിവള്ളികൾ തളിർക്കുമ്പോൾ)”… Some sizzling chemistry saves the day! Bombay (1995) – A film that gave me life goals! “Jab Harry Met Sejal” is a tiring mishmash of Imtiaz Ali & Shah Rukh Khan schools of cinema! 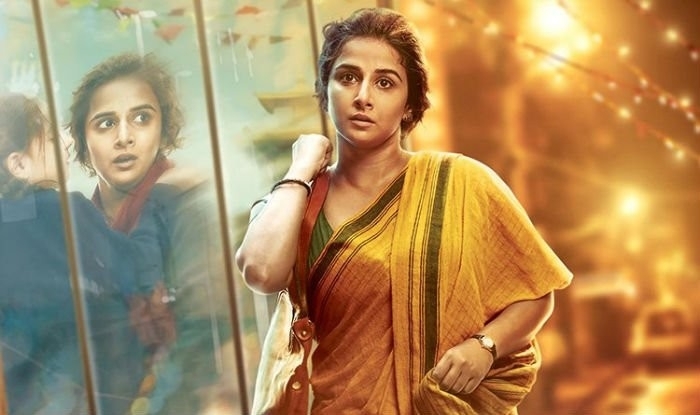 “Kahaani 2″… It’s all about the first half! “Junglee”… A routine Vidyut Jammwal actioner with a wildlife bait!